So take a look at our pre-owned and Certified Pre-Owned Acura RDX below before you contact us today to lease or finance. We appreciate your interest in our inventory, and apologize we do not have model details displaying on the website at this time. Please fill the form out below and our team will quickly respond, or, please call us at (303) 245-6418 for more information. 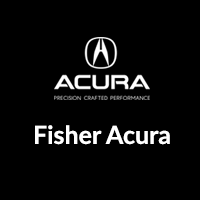 Why Buy a Pre-Owned Acura RDX from Fisher Acura? After you’ve compared the Acura RDX to other vehicles, and you’re ready to take a pre-owned Acura RDX home, contact us or apply for financing online today. While you’re at it, see how the Acura RDX and MDX compare.